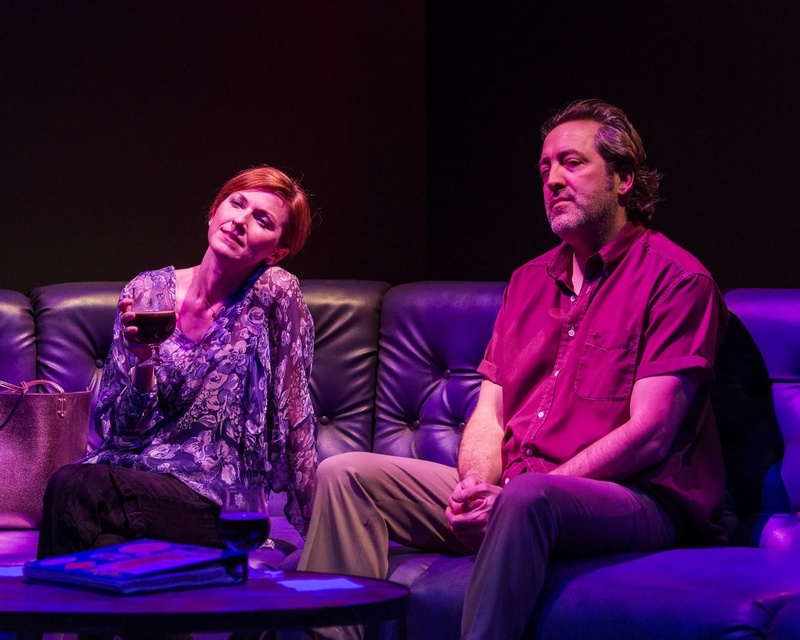 PHOTO: Craig Schwartz | SouthPasadenan.com | Cora Vander Broek and Ian Barford in the Steppenwolf Theatre Company production of Tracy Letts’ “Linda Vista.” Directed by Dexter Bullard, “Linda Vista” will play through February 17 at Center Theatre Group/Mark Taper Forum. 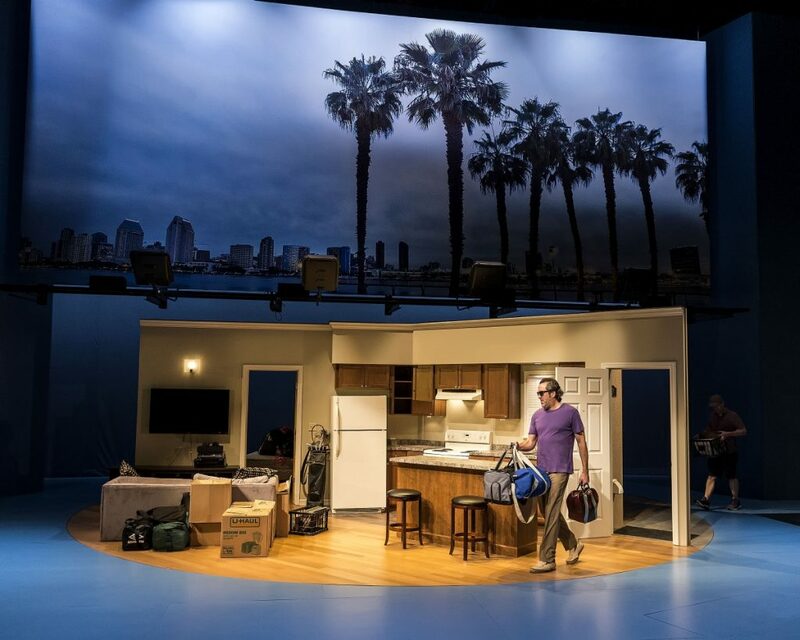 The Steppenwolf Theatre Company production of Tracy Letts’ “Linda Vista” is currently on stage at Center Theatre Group/Mark Taper Forum. Directed by Dexter Bullard, the production will run through February 17, 2019. The cast includes, in alphabetical order, Ian Barford, Tim Hopper, Sally Murphy, Caroline Neff, Chantal Thuy, Cora Vander Broek and Troy West. The creative team features scenic design by Todd Rosenthal, costume design by Laura Bauer, lighting design by Marcus Doshi and sound design by Richard Woodbury. Edward Sobel is the dramaturg and the production stage manager is David S. Franklin. PHOTO: Craig Schwartz | SouthPasadenan.com | L-R: Sally Murphy, Tim Hopper, (background) Cora Vander Broek and Ian Barford in the Steppenwolf Theatre Company production of Tracy Letts’ “Linda Vista.” Directed by Dexter Bullard, “Linda Vista” will play through February 17 at Center Theatre Group/Mark Taper Forum. Tracy Letts is an award-winning playwright, actor and Steppenwolf ensemble member. He is the author of plays “Mary Page Marlowe,” “The Scavenger’s Daughter,” “Superior Donuts,” “August: Osage County” (Pulitzer Prize, Tony Award), “Man from Nebraska” (Pulitzer Prize finalist), “Bug” and “Killer Joe.” Also an actor, he received the 2013 Tony Award for Best Actor in Edward Albee’s “Who’s Afraid of Virginia Woolf?.” TV and film credits include “Lady Bird,” “The Lovers,” “Christine,” “Elvis and Nixon,” “The Big Short,” HBO’s “Divorce” and two seasons as Senator Lockhart on Showtime’s “Homeland.” “Linda Vista” was commissioned by and the world premiere presented at Steppenwolf Theatre Company, Chicago, IL in April 2017. 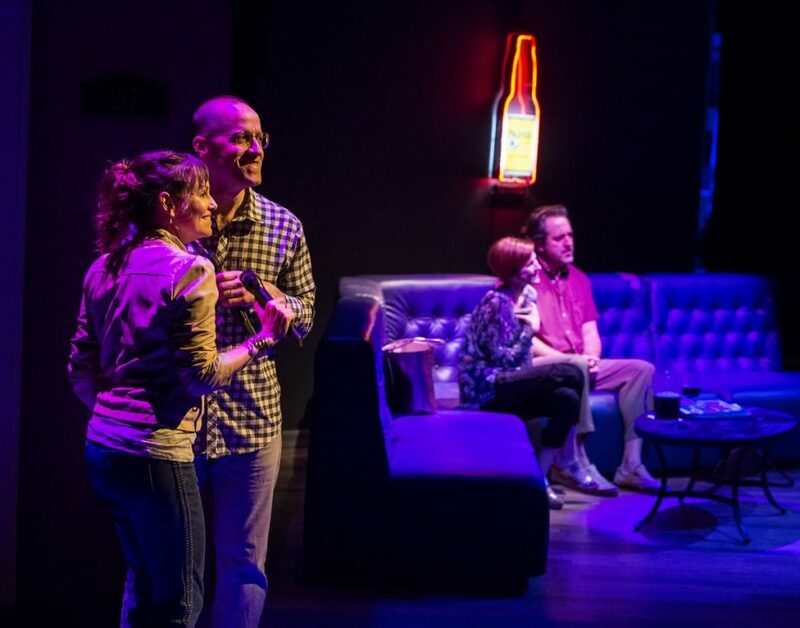 PHOTO: Craig Schwartz | SouthPasadenan.com | Ian Barford in the Steppenwolf Theatre Company production of Tracy Letts’ “Linda Vista.” Directed by Dexter Bullard, “Linda Vista” will play through February 17 at Center Theatre Group/Mark Taper Forum. Tickets are available online at CenterTheatreGroup.org, by calling Audience Services at (213) 628-2772 or in person at the Center Theatre Group Box Office (at the Ahmanson Theatre at The Music Center in Downtown Los Angeles). Tickets range from $30 – $99 (ticket prices are subject to change). The Mark Taper Forum is located at The Music Center, 135 N. Grand Avenue in Downtown L.A. 90012.